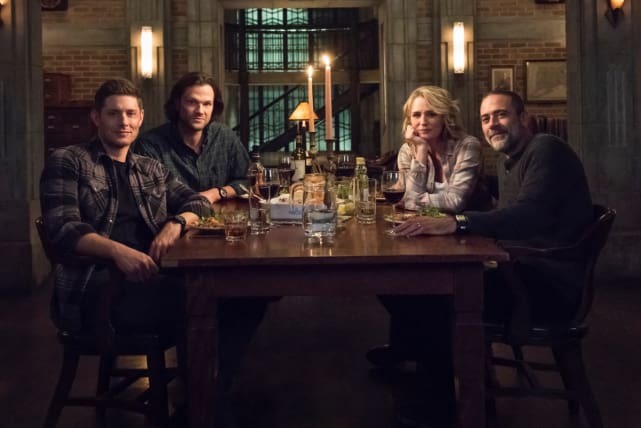 Supernatural 300th Episode Photos: It's a Winchester Family Reunion! 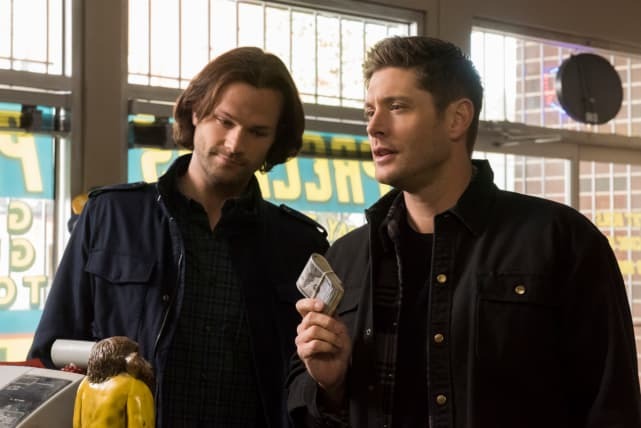 Supernatural is throwing it all the way back for its 300th episode. 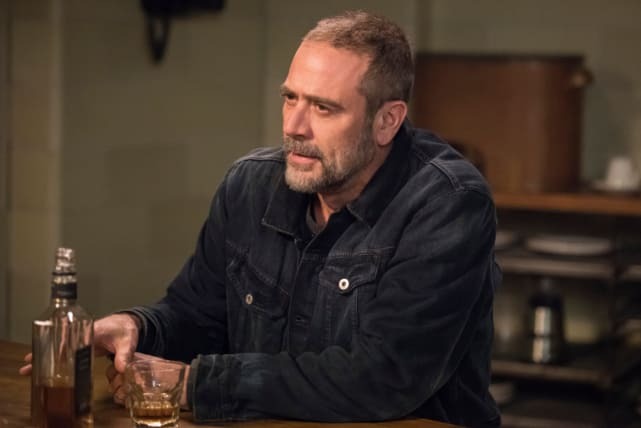 The long-running CW drama is bringing back Jeffrey Dean Morgan as John Winchester, and he will be reuniting with his family. 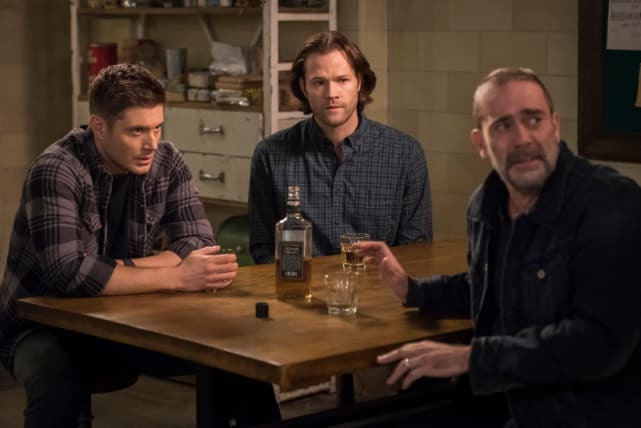 Related: Supernatural: Jeffrey Dean Morgan Returns! 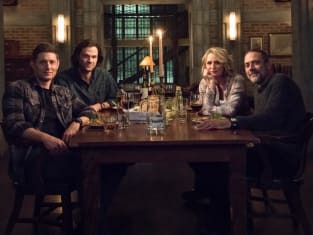 Supernatural Season 14 Episode 13 is titled "Lebanon." 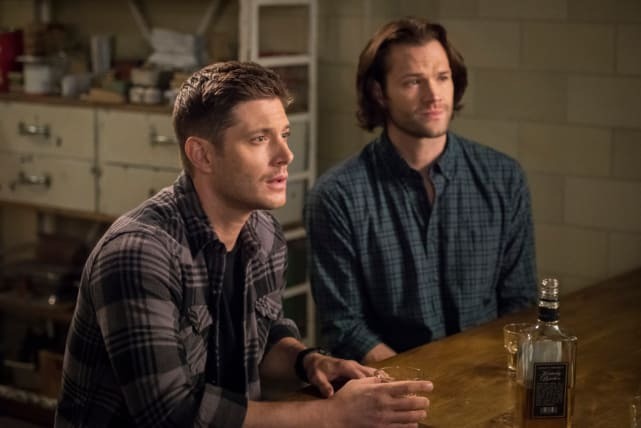 "Sam (Jared Padalecki) and Dean (Jensen Ackles) look to occult lore for a solution to their latest problem, but instead of a resolution, they find much more than either of them had anticipated," reads the networks official description of the milestone installment. Have a look at the full batch of stills below and hit the comments with your thoughts on them. Remember you can watch Supernatural online right here via TV Fanatic. The Winchesters are back together in this behind the scenes photo from "Lebanon," the show's 300th episode. 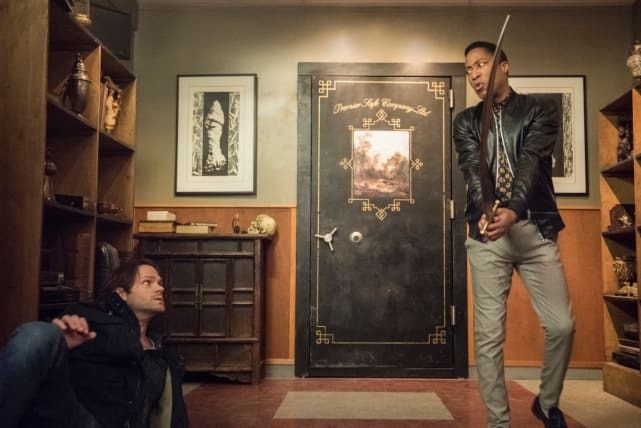 Sam and Dean will look to occult lore on the 300th episode of the CW hit, and it comes back to bite them. We think it's fair to say the brothers are going to have their work cut out for them. John Winchester is back, and it seems like he's going to have a lot of explaining to do to Mary. There has to be a reason why the brothers are able to see their father again. He's certainly aged since his supposed death. The brothers will no doubt have a lot of questions for their father. Supernatural Season 14 Episode 13: "Lebanon"
A serial killer clown. This has to be the best thing that happened to us because you love serial killers but you hate clowns. They always talk too much. Permalink: They always talk too much.